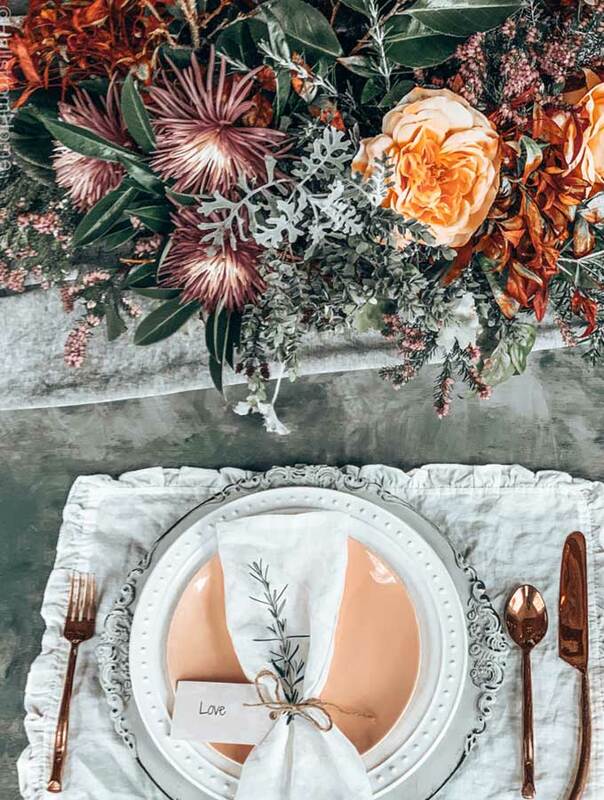 I have joined 6 other bloggers to create a beautiful tablescape for two. There are some that are simple and some that are elaborate and either way they are still very gorgeous. 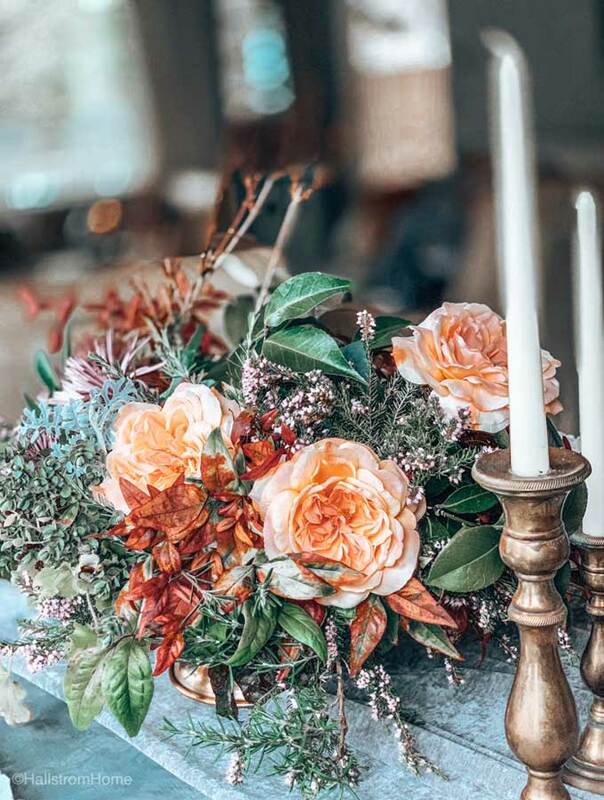 The tablescape I created I wanted to make it easy but still something very romantic. 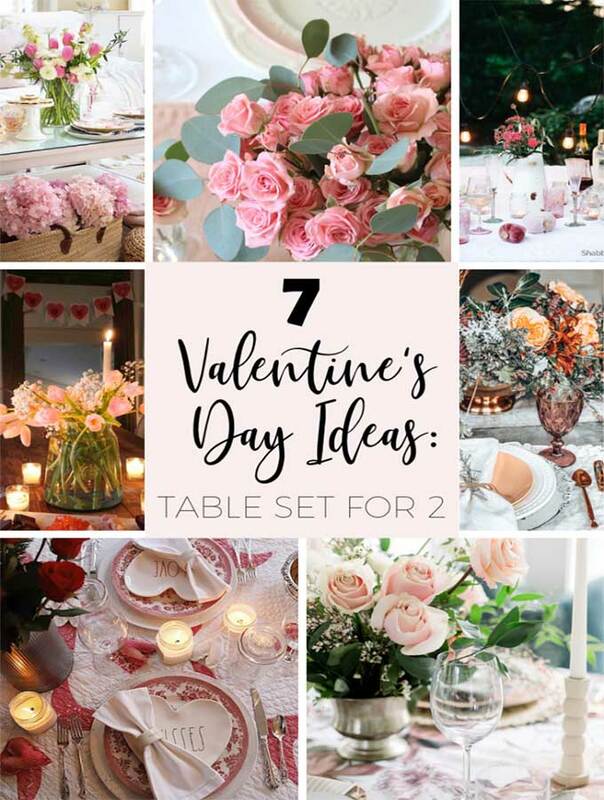 A Valentines Table for Two-Romantic Setting can be a lot of fun and you can add your own style to it. I can’t forget of course I will include some cute Valentines Tag Printables. 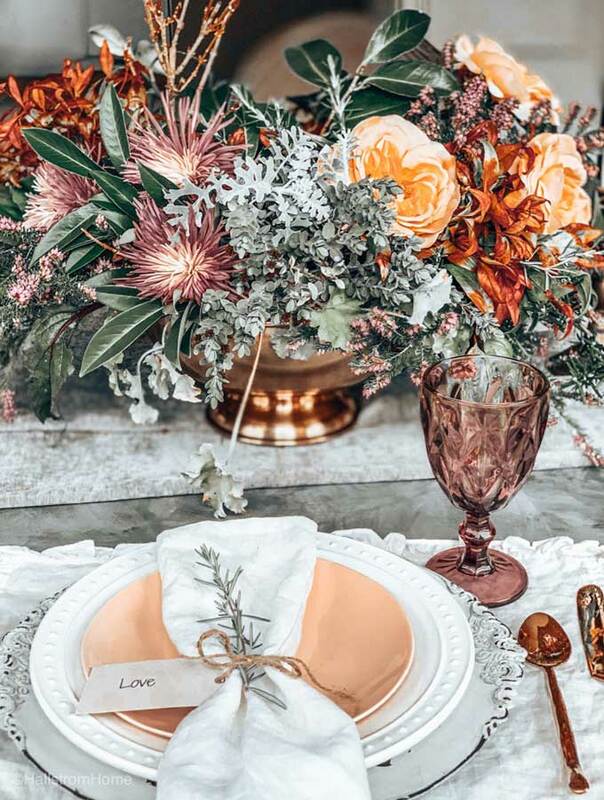 I am telling you this romantic table setting was so easy. It took me about 10 minutes. 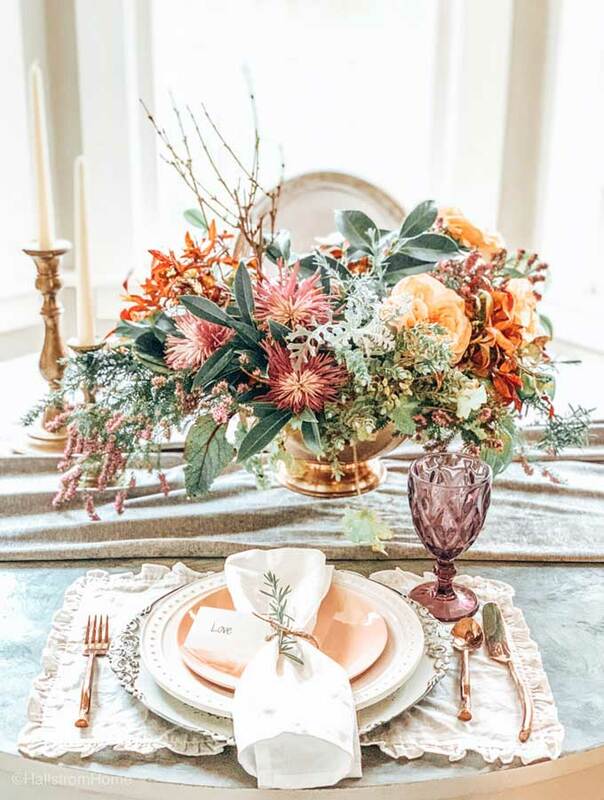 Okay well maybe the table setting part did, but that floral arrangement was giving me troubles. The floral arrangement took me about 30 minutes. 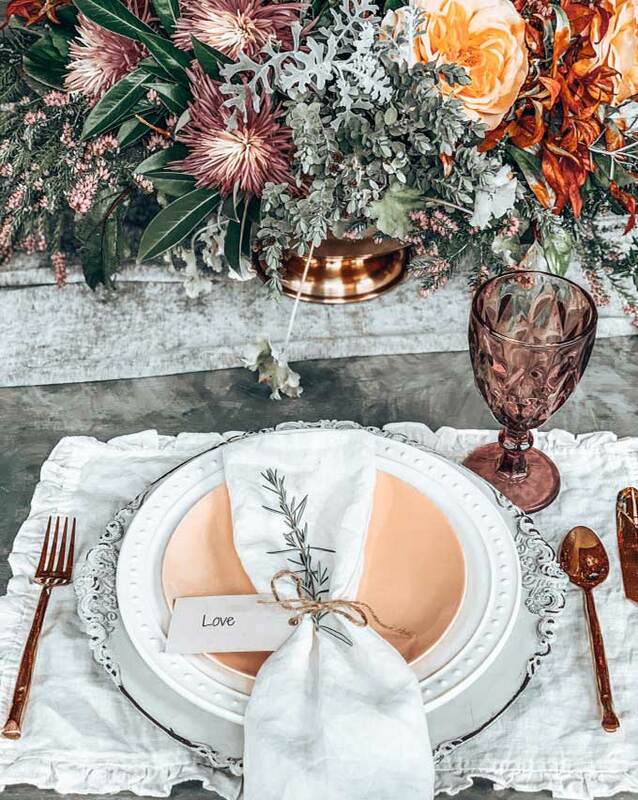 This romantic table setting arrangement was made from scratch. I am not a natural at this type of thing, arranging flowers has always been a struggle. But I did it and I think it turned out beautiful. I will give you all the details on this floral arrangement in a future blog post. Even though the arrangement took me 30 minutes, the table only took me 10 minutes. Hey if you’re a natural at arranging flowers this will be much quicker for you. Or if you just want to buy an arrangement already done… I think I might do that next time. For this table for two I went with easy peasy on the plating. 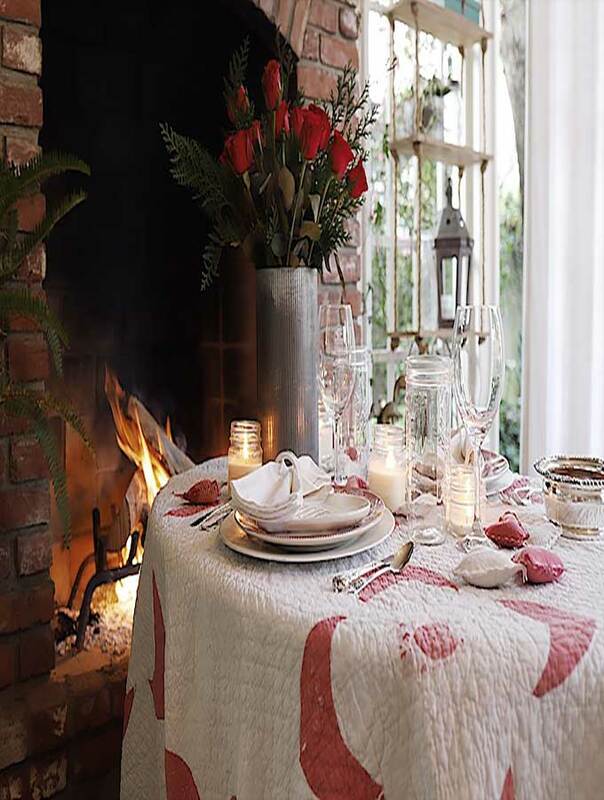 For the simple Valentine’s table setting I started with a ruffle linen tea towel. I have many linens available in my shop. I then used my shabby chic charger to give this a very romantic feel. Adding the touches of gold also helps with giving a romantic feel. 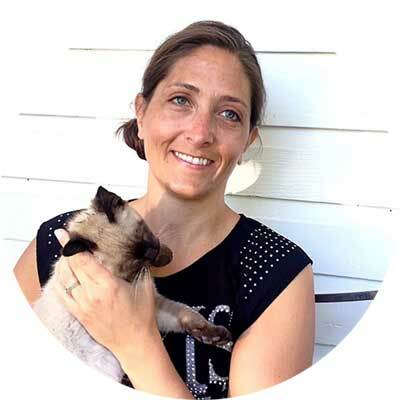 Now to tell you about our printables. They have many cute and romantic little sayings on these tag printables. They can be used for your table setting, gift for your significant other, or just as a fun craft you come up with. The printable will be at the bottom of the post for you to print off. I used the “love” printable for my table. I used twine around my linen tea towel and connected my tag there. Adding a sprig of greenery makes the space fresh. Adding a table runner will add more depth to the space and give it that added touch. Well this is actually a bed scarf, but why just limit yourself? So I made it a table runner for the day. This table runner with tulle can be found in my shop. I hope you guys enjoyed this version of a Valentines Table for Two-Romantic Setting. But here are 6 more ladies with gorgeous table for two table settings. You will be so inspired by their great work. Now this is a romantic dinner for two. This is so gorgeous, I wish I could eat like this every night. She is also showing vegan options for Valentine’s Day, which is so great! Oh man sitting by the fire on Valentine’s Day seems so nice and cozy. Who would have thought to use a quilt as a table cloth. Now that is so creative. 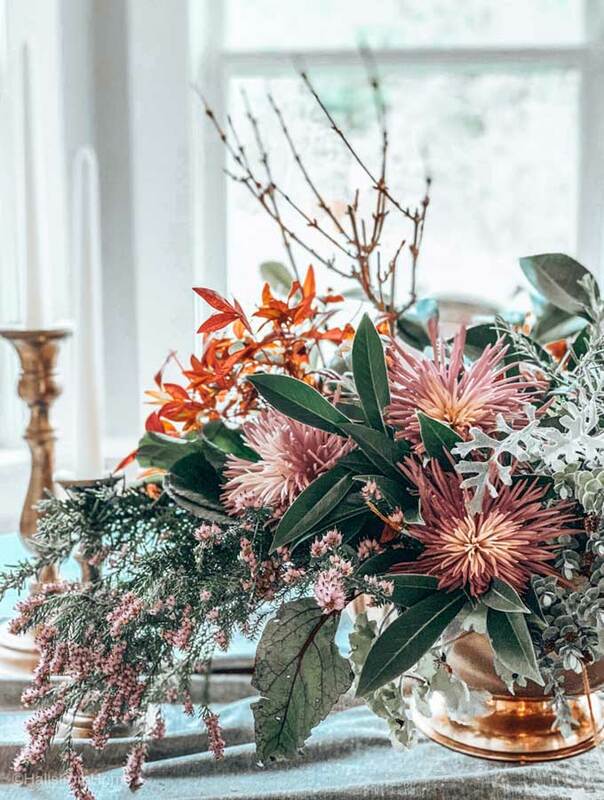 Her simple floral arrangement is perfect for Valentine’s Day. Finding Lovely does really live up to her name, this is lovely. 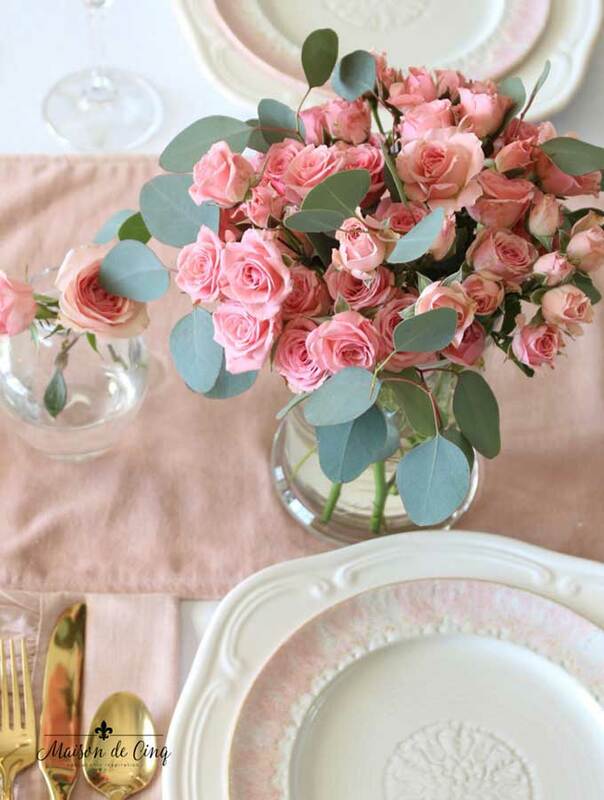 It is so romantic and a beautiful Valentines tablescape. It is so simple, yet so gorgeous! 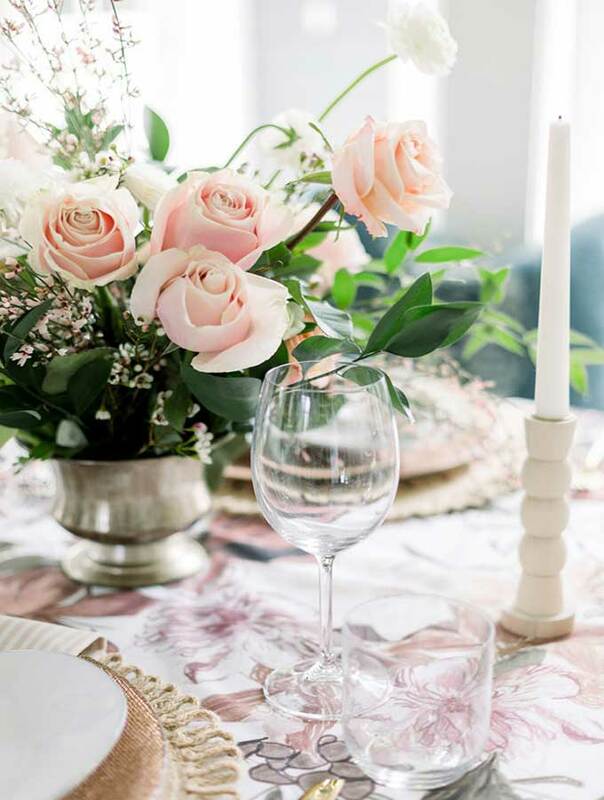 Go take a look at how Maison de Cinq created this soft and romantic Valentine’s Day table. I love all of the pink she put in, it really makes for a pretty Valentine’s dinner. 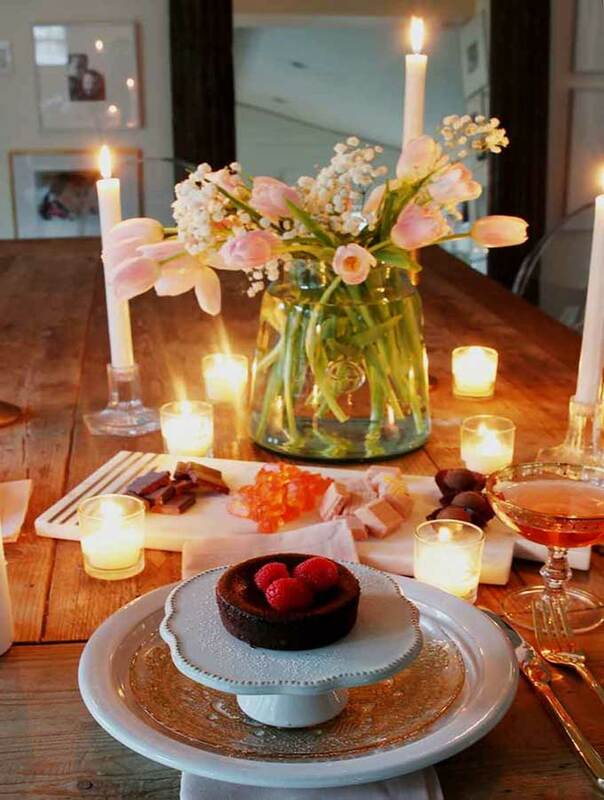 Ashley created this candlelit dinner for two. I might have to take a taste of that dessert. Eating by candlelight is the perfect Valentines dinner. An indoor picnic is a great idea for a table for two. Especially if you live out here in the pnw, we can’t picnic outdoors. So an indoor Valentine’s picnic sounds best! So pretty Rhonda! I adore that arrangement! 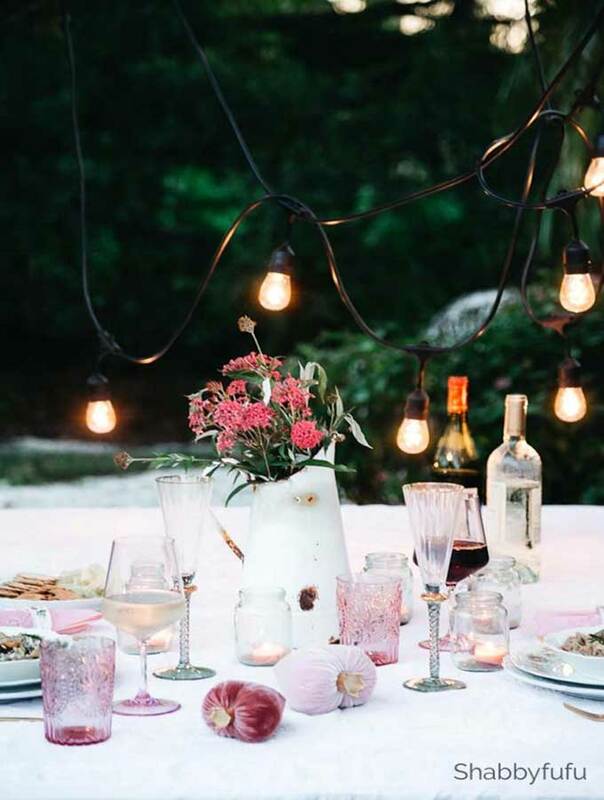 Beautiful colors and perfect for a romantic dinner! 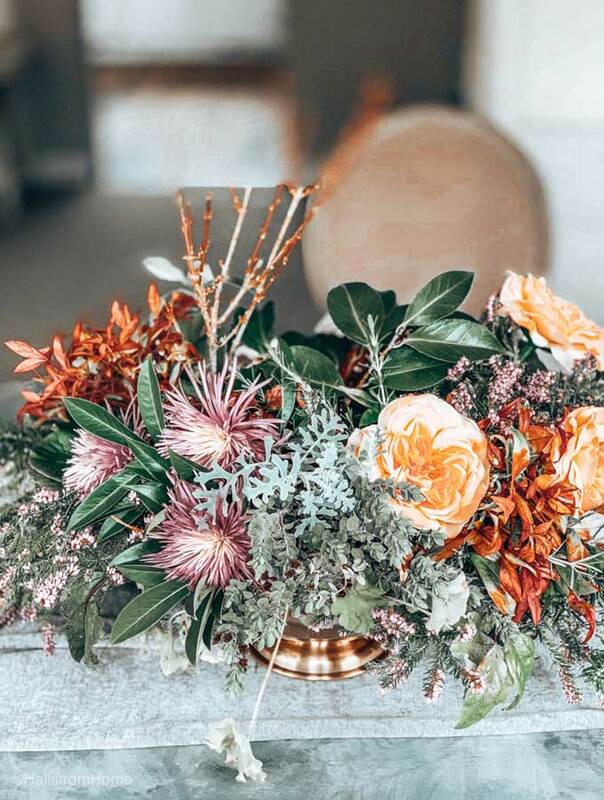 What an amazing floral arrangement that is Rhonda – I seriously LOVE it!! The colors are so gorgeous!! Thanks Sheila! It was a lot of fun doing this blog hop. That sounds like a ton of fun Kim!